Our fellow citizen, O. G. Blake of Number 10, 9th Street, Portland, Oregon, was abandoned to die by his physicians of diabetic gangrene. The entire foot and lower limb were in a state of mortification. The stench of the rotting foot would almost drive one from the room. With tears, his physicians bade him goodbye and left him to die. Materia Medica had no remedy. The medical expert said, “I am stumped; there is nothing I can do for you further.” Amputations were useless, as the diabetic state permeated his whole person. He called Reverend John G. Lake of The Church at Portland, a businessman’s church in the Gordon Building, 283 Stark Street, conducted by preachers who are businessmen. One of the ministering staff was sent to minister to this dying man. He is perfectly healed. What science could not do, God accomplished. His big toe rotted off. He has it in a bottle of alcohol. You can see it. New flesh and bone grew on. He is walking around the city and has taken his place again as one of the heads of the Yeoman Society of the state of Oregon. Fellow citizens, what is it worth to you? What is it worth to his home? What is it worth to his wife? What is it worth to Portland? What is it worth to Oregon? What is it worth to the United States? What is it worth to the world? What is it worth to the kingdom of heaven? I, Mrs. D. C. Tappan of 874 Pardee Street, Portland, Oregon, being first duly sworn under oath, depose and say that I am 63 years of age, of a sound mind, and that I make the following statement fully realizing the sacredness of my oath: That two years ago a cancer formed on the end of my spine, and it grew and spread in the form of a horseshoe until it became three inches in diameter, causing me great pain constantly. Many physicians of Portland and Seattle treated me from time to time, but the cancer steadily grew worse and discharged more and more. 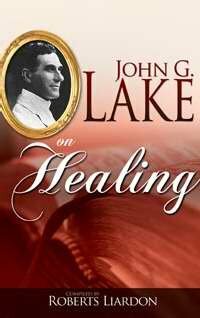 When all our funds were exhausted in this way, and complete hopelessness and despair settled down over my family, and I was facing a miserable death, a friend sent word to us that Dr. Lake was praying for the sick and was having wonderful cures through prayer. A new hope was born in our hearts, and we immediately sought him that his associates—Dr. Lake being absent from the city—would pray for us. His secretary, Reverend Harriet Graham, knelt with me and most earnestly prayed God to deliver me from this cancer. Immediately, all the terrible pain left my body and has never returned. During the intervening three months, the cancer continued to dry up, and now there is nothing left but the scar to remind me of those awful days. No one can ever know how the sun shines on us after the hand of God has touched the body and scattered all our clouds. My daughter was also a great sufferer from violent headaches. It was she who brought me to the healers, and without especially being prayed for, when the healing came to me, she was also touched by its power, and she, too, was immediately healed. What is it worth to you to know that God answers prayer today? How much is it worth to you to know that even after the best physicians in the land have despaired, that God will heal all who come to Him? How much is it worth to you to know that when the church tells you that the days of miracles are past, that they lie? We, Mr. and Mrs. Marble of 1004 E. 32nd Street, being first duly sworn under oath, depose and say that we both are of mature age and of sound mind and make the following statement fully realizing the sacredness of such an oath: Our daughter, Edith May Marble, seventeen years of age, contracted flu eight months ago, which caused pleurisy and developed into tuberculosis. She went down to death, and by September fifteenth she was in the very throes of death. We had six doctors, but she steadily grew worse. She was operated on and seemed some better for a few days, but again sank rapidly. Mr. Wright, of Reverend Lake’s healing rooms, was called and prayer offered. A week later, she vomited quantities of digitalis, which had accumulated in her system during her sickness, which was given her in course of treatment. She began to recover, and the wound healed. She is now up and walking around, praising God, eating well, taking on flesh rapidly. We desire the public to know of this miracle of God’s power and give thanks for these godly people who brought the light of divine healing to us. What is it worth to you to know that God is healing tuberculosis? What is it worth to you to know that God will save your dear ones from the grave? What is it worth to you to know that all sickness, sin, and disease do not come from God, but that they belong to the evil one? Mr. E. S. Anderson of Royal Court, an ordained deacon of The Church at Portland, of which John G. Lake is overseer, with his wife, was called to his bedside. Moved by his terrible suffering, they fell upon their knees and laid their hands upon him. The power of God came upon him. He was instantly healed and in fifteen minutes was out of pain. He slept like a child and next day returned to his office. Citizen, what is this fact worth to you? What is it worth to know that God is not far away? What is it worth to you to know that “Jesus Christ [is] the same yesterday, and to day, and for ever”? (Hebrews 13:8). Harold Rooney, grandson of Mrs. Josephine Raymond of 2914 Fairmont Street, Vancouver, Washington, seven years old, was an epileptic, subject to fits from infancy. He became dumb. His mind became affected. The physicians said, “There is not a thing can be done for him.” He was brought to Reverend Lake’s healing rooms, 283 Stark Street Prayer was offered. The epileptic demon was cast out. The fits ceased. His speech returned. His mind became normal, and he put on flesh rapidly and is now a rosy, healthy, happy boy, attending school. Fellow citizen, what is this cute by the power of God worth to you? It has saved the expense of an inmate for life in a state institution. It has restored to society a life that will add wealth to the nation, citizenship to the state, a home and family to the city of Portland—a man with faith in God, and a Christian to the kingdom of heaven. Dr. D. N. Mclnturff, a man with a successful law practice, a Supreme Court lawyer of note, seeing these things, gave up his practice of law and became pastor of The Church at Portland. He himself ministers to the sick, and they are healed. Last week among the numerous healings under his ministry, there were three cases of blindness. What is it worth to hear the shout of joy when blind eyes open by the power of God sufficient to heal blindness? Reverend Harriett Graham, a professional nurse, hospital matron, herself a miracle of healing by the Lord, is also one of Dr. Lake’s associates, and under her wonderful ministry people are healed every day. Dr. Herman Wallace, noted divine businessman, author, and economist, is on our staff. 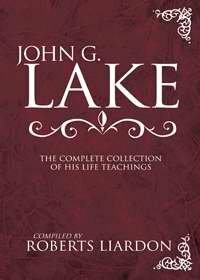 He is a thinker of thinkers and a man of exceptional spiritual power. Realizing the wonderful possibilities of Dr. Lake’s undertaking for Portland and the world, he has become one of the ministering staff. Reverend William O. Wright operated a stock ranch in the state of Wyoming. He was discharged from the United States Army at the close of the war and was pronounced incurable. More than a hundred X-ray pictures were taken of his person by the government experts in their effort to determine the nature of the disease. He was operated upon many times without success. His case is a matter of government record. Mr. Blake, whose healing appears at the head of this pamphlet, was one of his patients. He will call at your home anywhere if you so desire. What is this life worth to the United States? What is it worth to Portland? What is it worth to see hundreds of healed and saved people gather together in The Church at Portland, giving thanks to God? What is it worth to Portland to foster and sustain this work and thereby become the healthiest city on earth?